I wonder if this COB famiclone that krzysiobal found contains a UM6561. There's a bunch of pins over there in the corner (18,19, maybe another one or two) that might not be supply pins and might change the behavior if tied high or low. and there is direct connection only between those GND pins: 73, 60, 16. Other pins marked as GND or NC in this schematics (32, 18, 19) might act as input pins. There is high probability of it, as multimeter on diode test shows some value for EACH of those pins with respect to GND, so they are internally connected. The datasheet that Farid found for the UM6561 says that pin 19 is P1 D2 (i.e. famicom microphone). If it is Famicom microphone should I connect it GND (as suggested in Russian schematic) or leave it floating? It is definitely mislabeled in the Russian schematic since it is connected to other VCC pins internally. 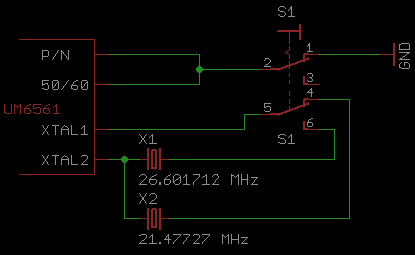 According to the article described, change the N system as long as the crystal into 21.47727MHz on the line. I confirm, pin 32 is connected to VCC. So out of those mysterious pins, only 18 is unknown, so it is probably pal/ntsc select. If [pin 19] is [P1 D2] Famicom microphone should I connect it GND (as suggested in Russian schematic) or leave it floating? 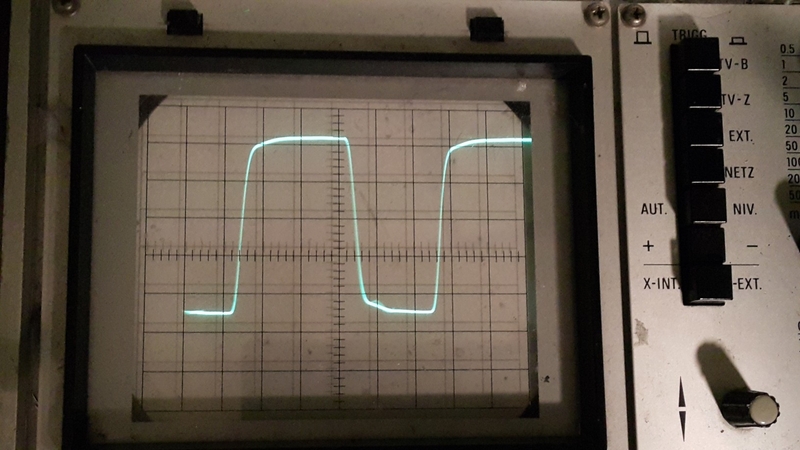 It does sound like it autodetects crystal frequency and switches between NTSC and Dendy behavior accordingly. 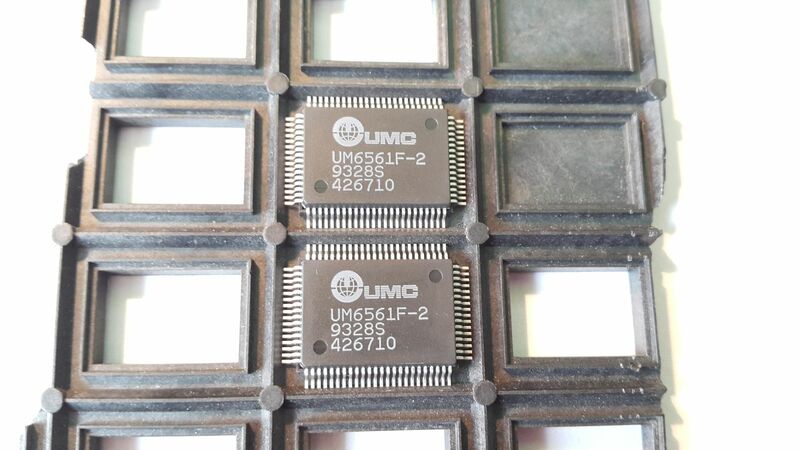 I just got one famiclone with glob-top UM6561 (soldered on add-on board), but there is also place for regular 80 pin SMD UM6561. What is weird, its pinout it shifted from original UM6561 (this pin1 = UM6561 pin2, this pin 2 = UM6561 pin3). This board uses 26.601712 MHz crystal and has place for two jumpers - one marked as P/N and the other 50/60 (both were unsoldered, but soldering shorted each of them to GND). Shorting P/N causes PAL screen to momentally switch to black/white, shorting 50/60 causes TV to lose sync (it is responsible for crystal selection). 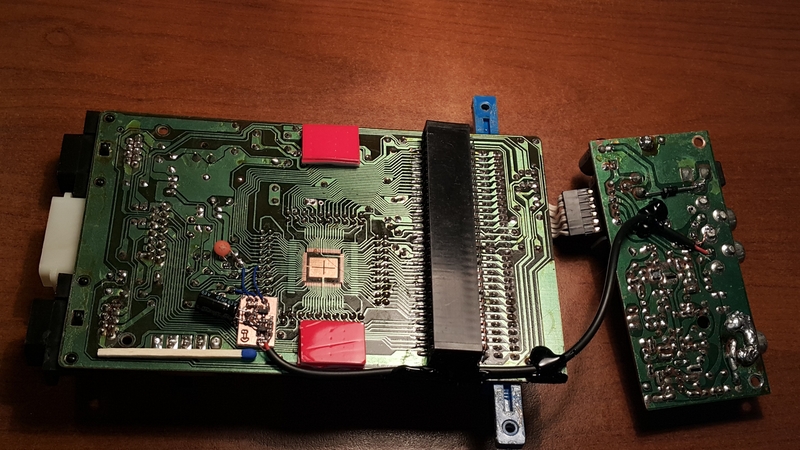 So I did this clever switch and now I can in runtime switch between PAL and NTSC - curiously switching crystal during runtime does not cause CPU to break. I was worried if connecting crystal with only one leg and putting second leg on long wire and switch will have problems, but nothing that happened! 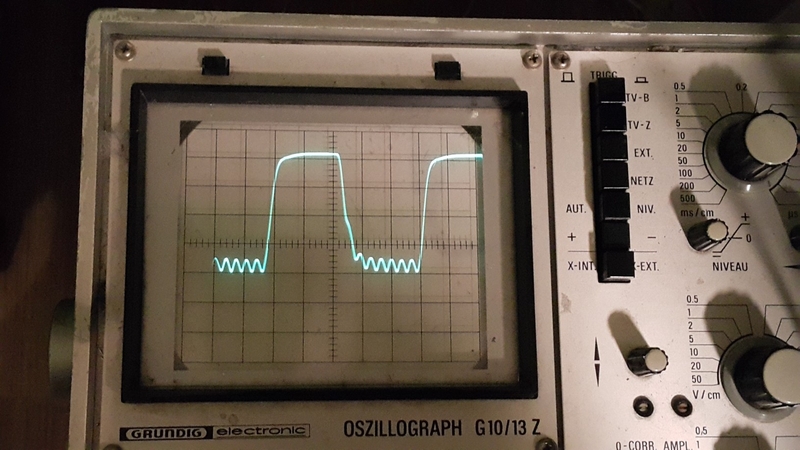 sorry to resurrect an old thread, @krzysiobal does what you did work with a UM6561f-2? i have 2 game axe color, both in need of a um6561cf-1 both failed. but i got some um6561f-2 that only work with pal xtal, and run terrible. i want NTSC! could you advise me? which pins on the umc package are affected by what you did? or what pins need to connect? BTW im a fan of your pcb and repro work! want to buy some soon! It seems to change the M2 appearance bit, but its further meaning is unknown. So if you want to have PAL/NTSC switchable console, you need to obtain some glob-top clone with ability to add switch button. Any idea if these NOACs would work fine with 3.3v parts and not have problems in the future? Could you please show more photos of this board, from all sides? Also a photo of the famiclone itself also would be useful.